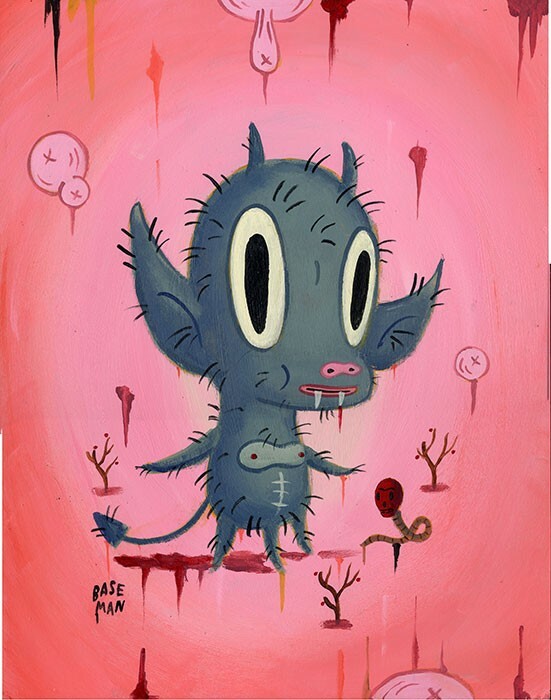 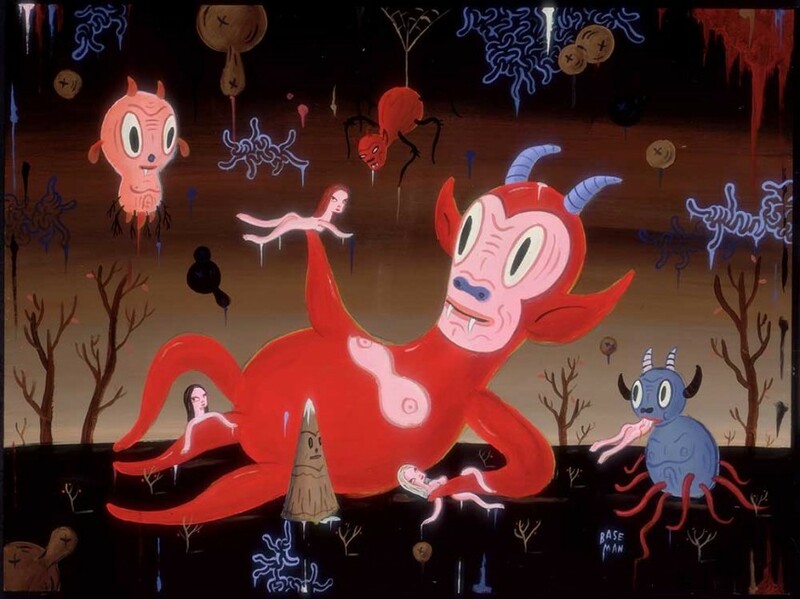 Influenced by The Garden of Earthly Delights, by Renaissance artist Hieronymous Bosch, Baseman delved deeper into the “pleasure principle, introducing us to little demons and devils that act out our most suppressed impulses. 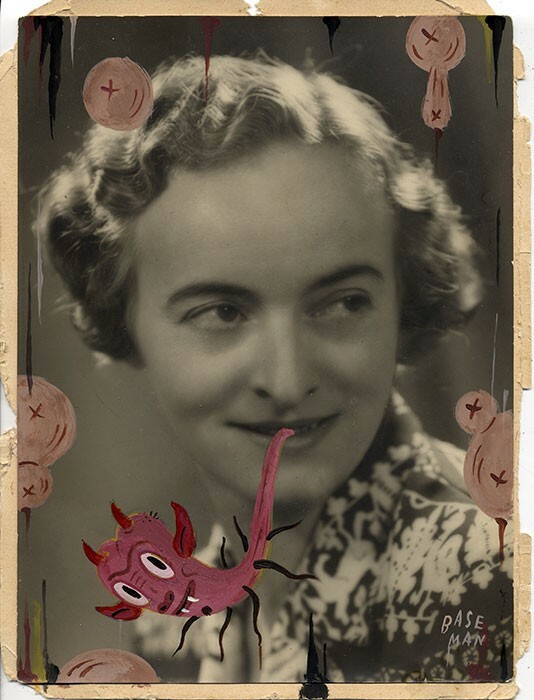 One such devil is Baseman’s creature HotChaChaCha. 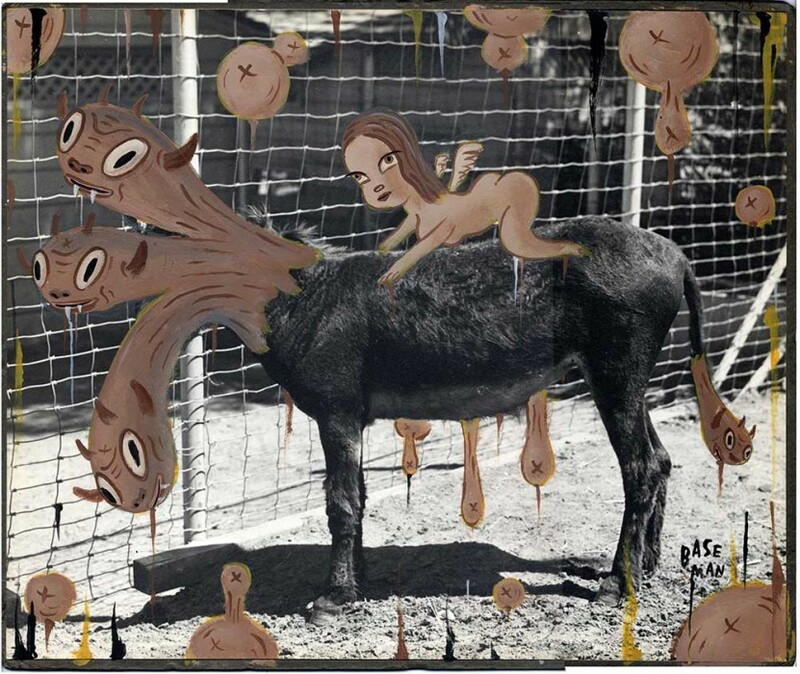 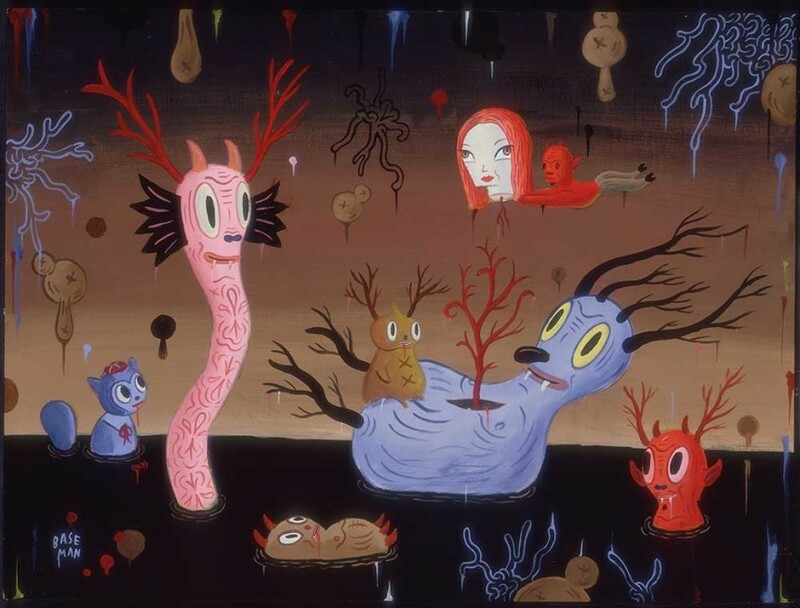 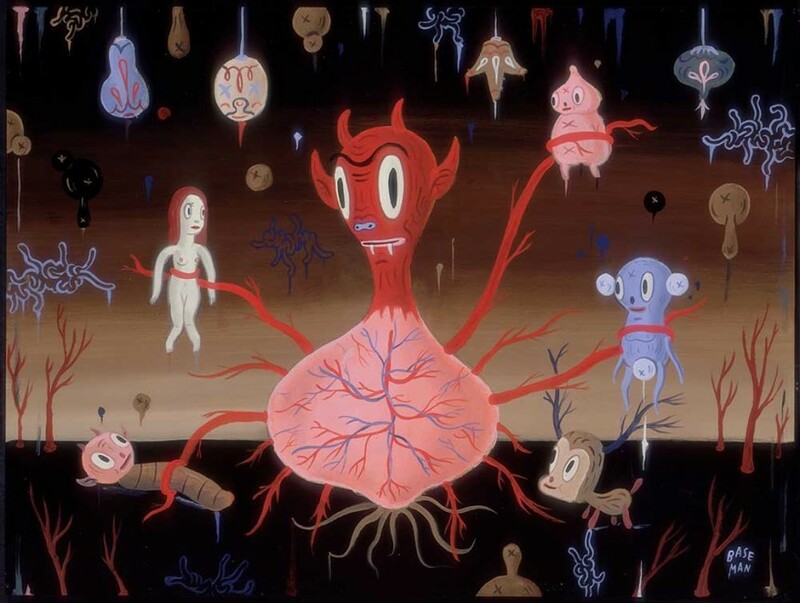 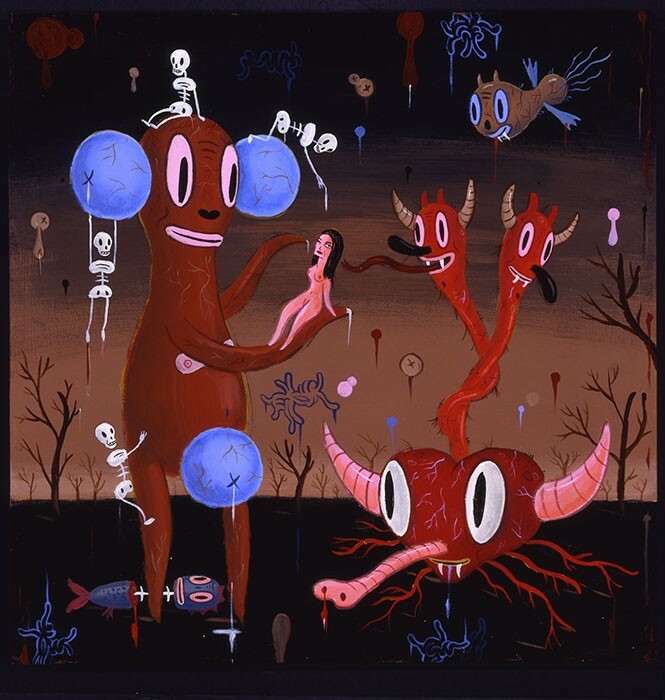 The Garden of Unearthly Delights was shown in 2005 at Jonathan LeVine Gallery in New York.